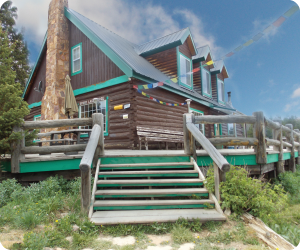 Kash and Margie Johnson began their rendezvous adventure in the early 1980s when they took on management roles at the rugged Spirit Lake Lodge near Flaming Gorge. 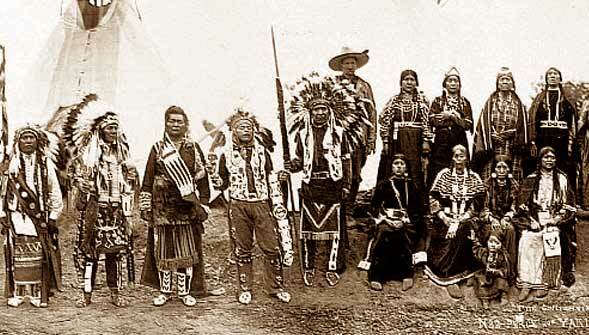 It was here that they met Two Eagles, who made his living selling bead work at nationwide rendezvous gatherings. Kash attended his first rendezvous in 1982 and it did not take long before he caught the fever and mountain man blood pulsed through his veins. Rendezvous quickly became a tradition that extended to Kash and Margie’s children, extended family and grandchildren and has been a huge part of their lives for over three decades. If you ask Kash about his attitude toward learning history in school, he will tell you that he did not much care for it. At a museum, you find static history, with placards and displays. There is nothing to explain why or how something happened. Now, you could say he is some sort of fanatic, particularly about the fur trade era. 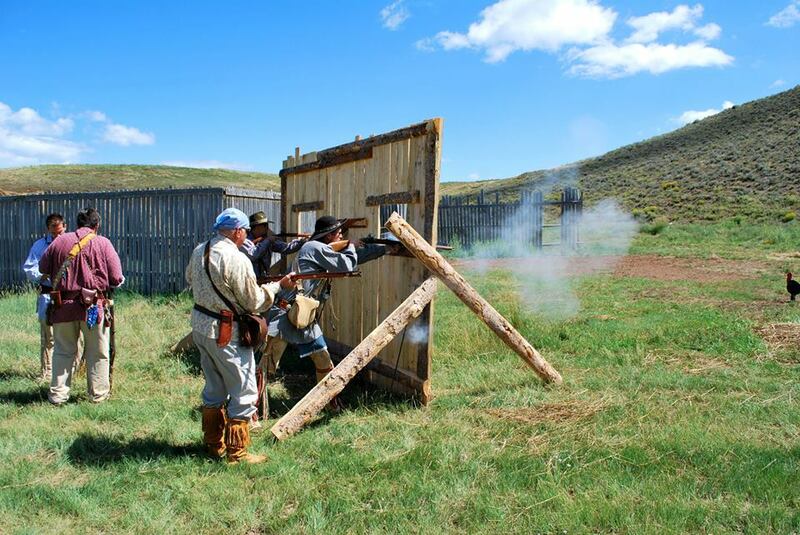 The Bear Lake Rendezvous is LIVING HISTORY. It’s helping people learn about the rich and colorful moments of the fur trade era on the hallowed ground of 2 rendezvous past. The 2015 Bear Lake Rendezvous is Aug. 21-23. Gates open at 8 a.m. and the event remains open until sundown. 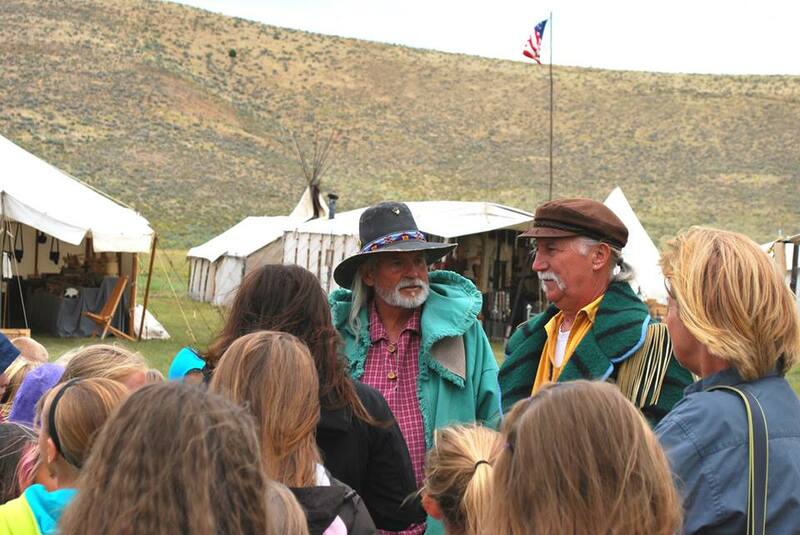 Guests and visitors to the Bear Lake Rendezvous DO NOT have to be dressed in period correct clothing. Flip flops and shorts are fine. However, anyone wishing to enter free needs to be dressed accordingly and traders and primitive campers must maintain pre-1840 attire. For a one time $40.00 fee, self contained trailer camping (tin tipi) is available for the week August 19-24th. Campers are free to come and go. This is the BEST value on the lake. Rendezvous Beach is only 3 miles from our campsite. In the year 1802, in a letter to Pierre Samuel du Pont, President Thomas Jefferson wrote: “This little event of France possessing herself of Louisiana, is the embryo of a tornado which will burst on the countries on both sides of the Atlantic and involve in its effects their highest destinies.” This was amid reports that Spain would retrocede to France the vast Territory of Louisiana. The United States was expanding westward and navigation of the Mississippi River and the port of New Orleans became critical to the American economy. This rumored transfer of authority was cause for concern. 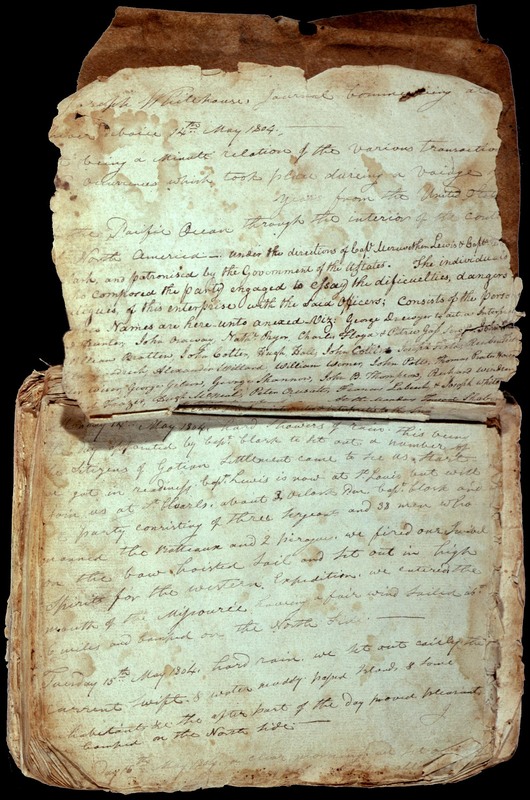 Jefferson wrote to Robert Livingston, who was the U.S. Minister to France, that “every eye in the US is now fixed on this affair of Louisiana.” It was the most uneasy time for the young nation since the revolutionary war. Jefferson’s vision of securing the territory was altered by the concept of having France, and its leader Napoleon Bonaparte, as a neighbor. In 1762 French territories including New Orleans, west of the Mississippi, and Canada were transferred to Spain. The same land areas were ceded to Britain the following year. But when Napoleon Bonaparte came to power in 1799, he seemed determined to bring France back to the continent. In October 1802 the situation became a crisis as King Charles IV of Spain transferred the territory to France. Acting on orders from the Spanish court, American access was revoked to the New Orleans’ port warehouse. 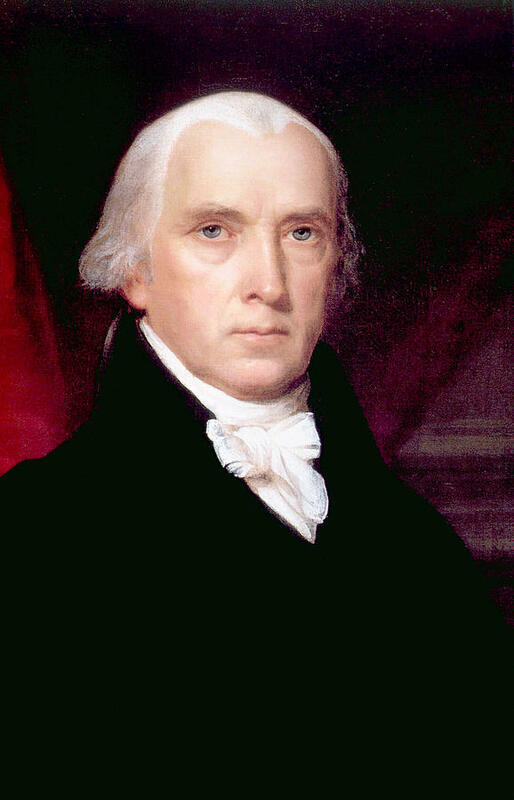 Jefferson and Secretary of State James Madison attempted diplomatic efforts to resolve the issue. The opposing Federalist Party called for war and sought secession by the western territories in order to gain control of the lower Mississippi and New Orleans. 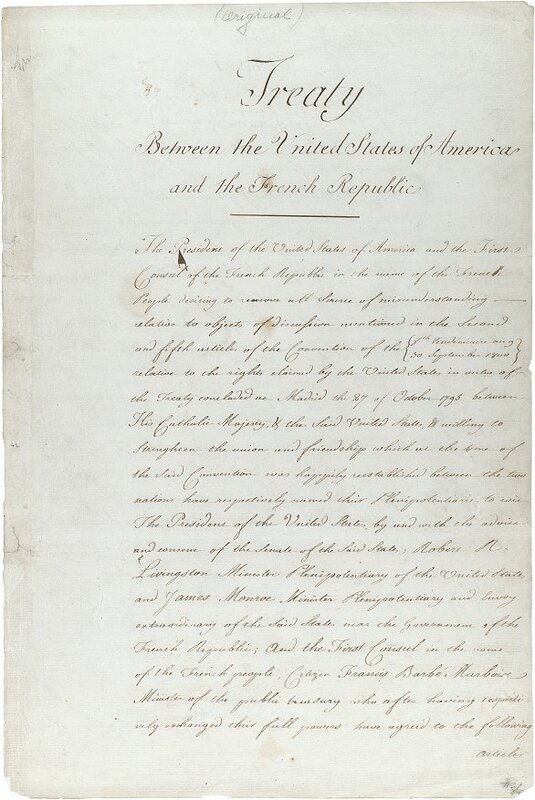 The threat of disunion caused Jefferson to recommend that James Monroe join Livingston in Paris in January 1803. Jefferson also asked Congress to fund an expedition that would cross the Louisiana Territory no matter who controlled it. 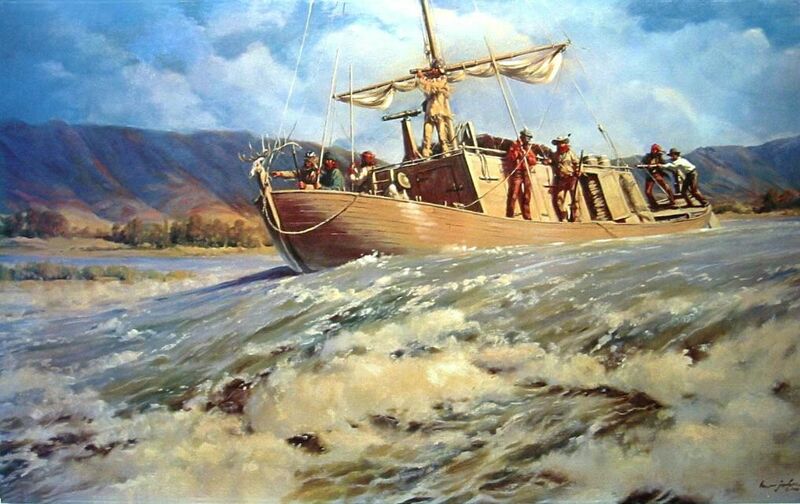 This concept later evolved into the Louis and Clark Expedition. Jefferson wrote to Jim Garrard, Kentucky’s governor, to make him aware of Monroe’s appointment and that he had the power to enter into “arrangements that may effectually secure our rights and interests in the Mississippi and in the country eastward of that.” 10 million in funds were allocated for the purchase of New Orleans and all or at least a portion of the Floridas. If the bid failed, Monroe was to purchase New Orleans or, at the very least, secure US access to the Mississippi River and the port. When Monroe reached Paris on April 12 of 1803, Livingston made him aware of a very different deal. Napoleon Bonaparte’s plan to root back into the New World was fast dissipating. The French Army had been overcome by yellow fever during their attempt to suppress rebellion by slaves and free black people in the colony of Saint Domingue (present day Haiti). A new war with Britain seemed imminent. It was Francois de Barbe’-Marbois, France’s Minister of Finance, who counseled Bonaparte that Louisiana would lose value without Saint Domingue. He also suggested that in the circumstance of war, the territory would be taken by the British from Canada. Because France could not afford to occupy the entire Mississippi Valley, the Finance Minister suggested Bonaparte release his desire for a presence in the New World and sell the territory to the U.S. On April 11, 1803, Livingston was told that France was willing to sell all of Louisiana and Monroe was informed as such upon his arrival the next day. By April 30th they reached an agreement, although it exceeded their monetary authority. Rumors of the purchase proceeded notification to Washington. Washington made an official announcement on July 4, 1803. 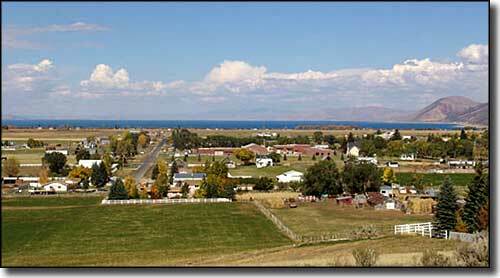 The U.S. would acquire around 827,000 square miles of land just west of the Mississippi for $15 million dollars. The treaty was ratified on October 20th by a vote of 24-7. Spain was angered by the sale, but did not have the military power to block it. Spain formally returned Louisiana to France On November 30th. On December 20th, the territory was transferred to America and ten days later, the U.S. took formal possession. 1682 René-Robert Cavelier, Sieur de La Salle, claims for France all territory drained by Mississippi River from Canada to Gulf of Mexico and names it Louisiana. 1718 New Orleans is founded. 1762 France cedes New Orleans and Louisiana west of the Mississippi to Spain. 1763 France cedes territories east of the Mississippi and north of New Orleans to Britain. 1783 Treaty of Paris gives newly independent United States free access to the Mississippi. 1784 Spain closes lower Mississippi and New Orleans to foreigners. 1790 Slaves revolt on Caribbean island of Saint Domingue, France’s richest colony. 1795 Spain reopens the Mississippi and New Orleans to Americans. 1799 Napoleon Bonaparte seizes power in France. 1800 Spain secretly agrees to return Louisiana to France in exchange for Eturia, a small kingdom in Italy. 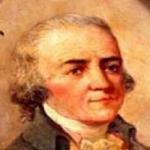 1801 President Jefferson names Robert Livingston minister to France. 1802 Spain cedes Louisiana to France. New Orleans is closed to American shipping. French army sent to re-establish control in Saint Domingue is decimated. January Jefferson sends James Monroe to join Livingston in France. February Napoleon decides against sending more troops to Saint Domingue and instead orders forces to sail to New Orleans. 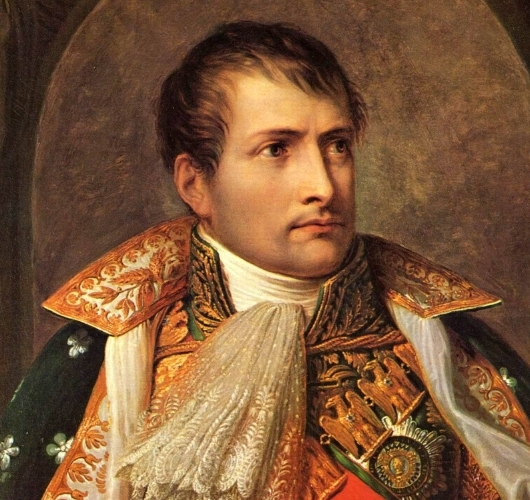 March Napoleon cancels military expedition to Louisiana. April 11 Foreign Minister Talleyrand tells Livingston that France is willing to sell all of Louisiana. April 12 Monroe arrives in Paris and joins Livingston in negotiations with Finance Minister Barbé-Marbois. April 30 Monroe, Livingston, and Barbé-Marbois agree on terms of sale: $15 million for approximately. 827,000 square miles of territory. May 18 Britain declares war on France. July 4 Purchase is officially announced in United States. October 20 U.S. Senate ratifies purchase treaty. November 30 Spain formally transfers Louisiana to France. December 20 France formally transfers Louisiana to United States. December 30 United States takes formal possession of Louisiana. The topography of Canada and the United States, west of Lake Superior and North of the forty-second parallel, was determined between 1793 and 1812. 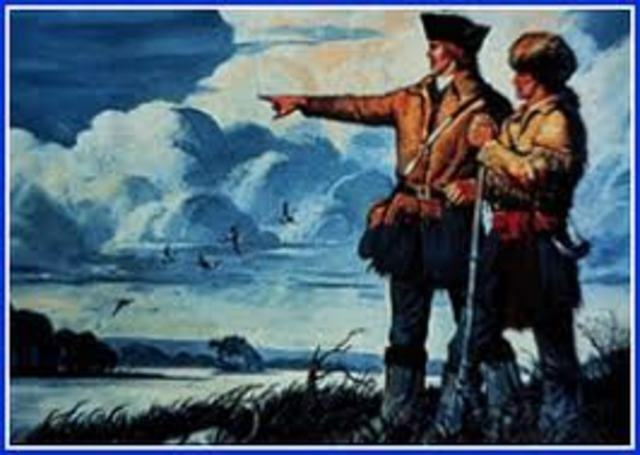 With the exception of the Lewis and Clark Expedition, fur traders from the American and Canadian fur trading companies did all of the early exploration. 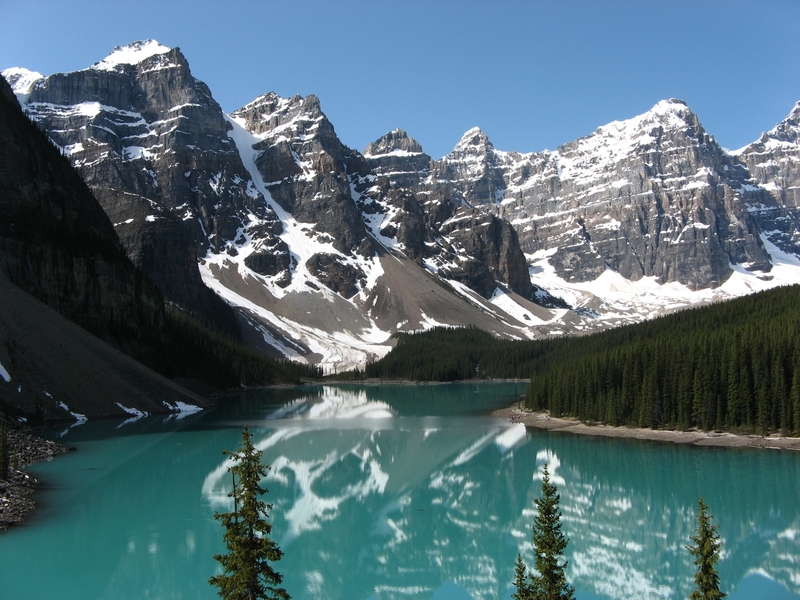 These fur traders were either accompanied by Native Americans, or Native Americans told them about the major passes and routes through the Rocky Mountains. The French explorers who mapped the shores of America’s Great Lakes were not trained in surveying. When we look at the maps they drew, in the 1600s and 1700s, there are many mistakes. Modern surveying had to wait, in any case, until the invention of a reliable chronometer watch that could be used to observe astronomical objects and precisely fix longitudes. The inventor who assembled the first longitudinal chronometer was an Englishman, a Mr. John Harrison, and he and his successors sold chronometers to the “sea dogs” of the Royal Navy. Starting in the late 1700s, the Royal Navy calibrated its chronometers by the longitude of its headquarters in Greenwich, a suburb of London, and the longitudinal numbers that flash on our GPS devices are based upon Greenwich to this day. Determining one’s precise location, which now can be done with the push of a button or two on a smart phone, then required tedious observations of several known angles – such as the elevation of the North Star – and then complex arithmetical calculations by the light of a grimy window, a candle, or an oil lamp. In 1806 the successful explorers, who had reached and wintered on the Pacific coast, re-crossed the mountains and retrieved their hoards. Lewis was sad, however, he admitted in his journal, that at least one of the caches, containing valuable bearskins, had gotten wet and the furs were ruined. 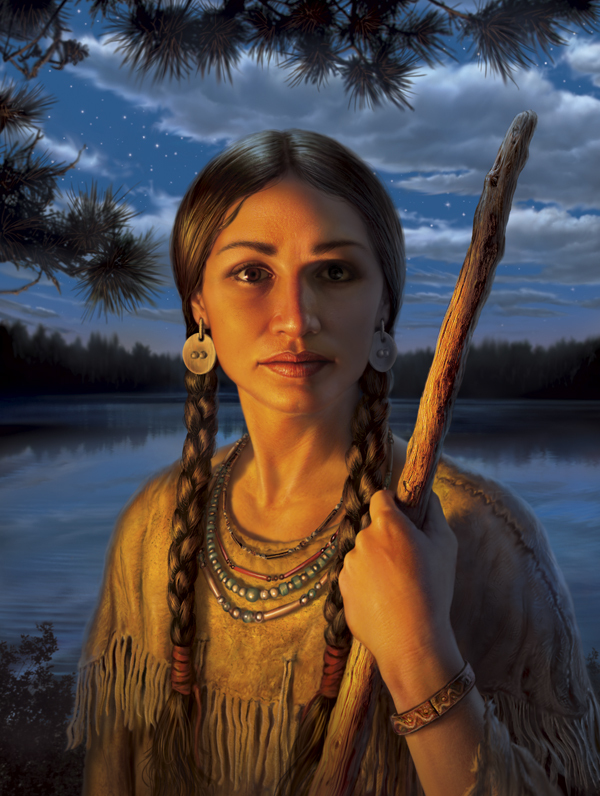 Later fur traders learned how to dig and line relatively waterproof caches by searching for patches of well-drained sandy high ground and using grease, tallow, wax, or some other waterproofing agent to try to seal valuable goods. Each cache was buried secretly and the extra dirt was piled on a blanket or hide and taken to a stream where it could be washed away. Other tricks to hiding a cache include digging up the floor within the walls of a tent, burying the cache and then camping over it for a period of days to tamp down the dirt and remove any sign of the hole. 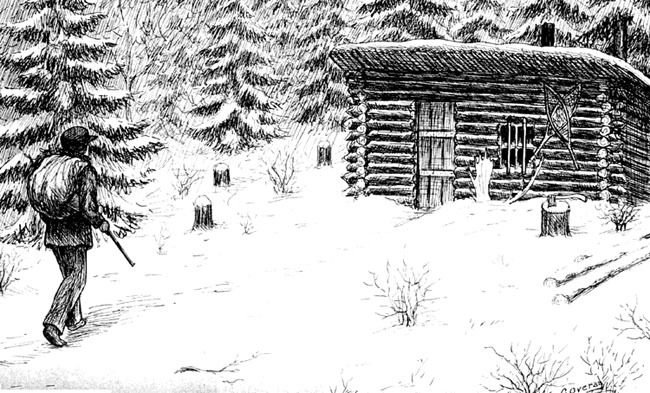 Many trappers would build a campfire over the cache as well. Sometimes, it was over a year before the trapper returned to their cache and to find it they made rough maps, identifying a large mound of dirt over here…a unique tree over there…a big boulder…They would then note the location of the cache by pacing the distance to the cache from each identified landmark. Let’s fast forward to the current century. Although modern technology has given ease to what was once tedious, man’s desire to seek and discover has not waned. We experience a Bill Murray type of “Groundhog Day” each day we live by getting up, going to work, doing the sleep thing and starting all over again most days of our lives. It’s no wonder our desire for diversity and adventure is often achieved during our “down-time” by getting ourselves lost in the great outdoors. 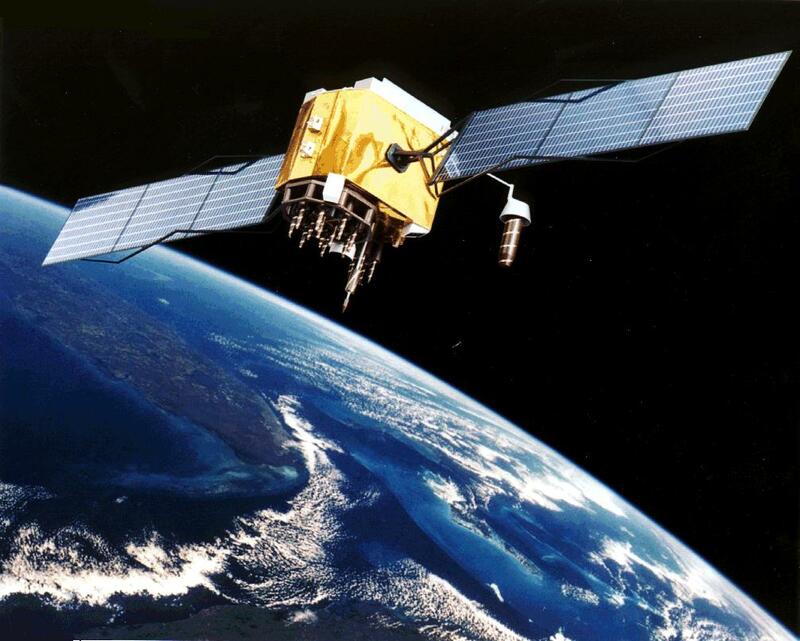 On May 2, 2000, at approximately midnight, eastern savings time, twenty-four satellites around the globe simultaneously processed new orders and instantly the accuracy of GPS technology improved tenfold. An announcement, the day before, came as a welcome surprise to everyone who worked with GPS technology. The government planned to remove selective availability of GPS completely by 2006. 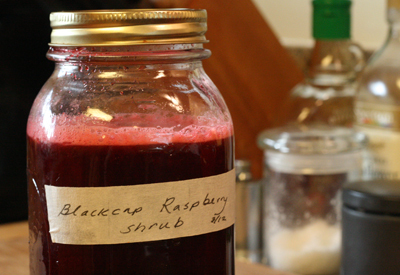 Within three days, two different readers read about his stash on the Internet, used their own GPS receivers to find the container, and shared their experiences online. Throughout the next week, others excited by the prospect of hiding and finding stashes, began hiding their own containers and posting coordinates. Like many new and innovative ideas on the Internet, the concept spread quickly. 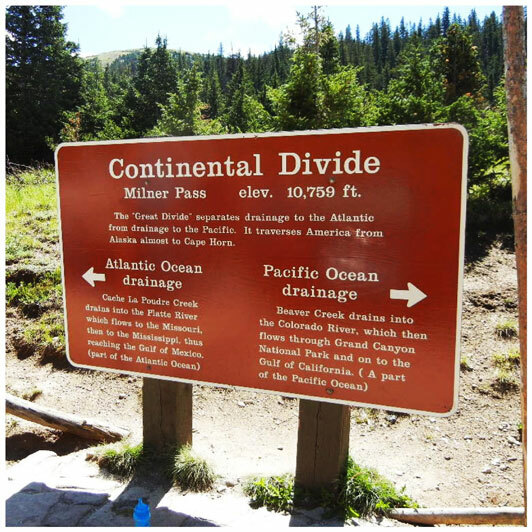 Within the first month, Mike Teague, the first person to find Ulmer’s stash, began gathering the online posts of coordinates around the world and documenting them on his personal home page. The “GPS Stash Hunt” mailing list was created to discuss the emerging activity. Names were even tossed about to replace the name “stash” due to the negative connotations of that name. And Geocaching was born. GEO: for Earth, was used to describe the global nature of the activity, but also for its use in familiar topics in gps such as geography. CACHE: The French word invented in 1797, referred to a hiding place someone would use to temporarily store items. For the first few months, geocaching was confined to existing experienced GPS users who already used the technology for outdoor activities such as backpacking and boating. Those users had an existing knowledge of GPS and a firm grasp of the obscure lingo used. New players had a steep learning curve before going out on their first cache hunt and tools were initially scarce for this new game. 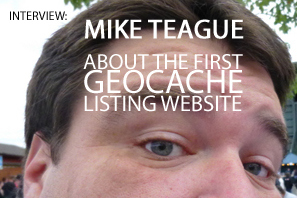 Jeremy Irish, a web developer for a Seattle company, stumbled upon Mike Teague’s website in July 2000 while doing research on GPS technology. The idea of treasure hunting and using tech-gadgets represented the marriage of two of his biggest interests. Discovering one was hidden nearby; Jeremy purchased his first GPS unit and went on his first hunt the following weekend. After experiencing the thrill of finding his first cache, Irish decided to start a hobby site for the activity. Adopting the term geocaching, he created Geocaching.com and applied his professional web skills to create tools to improve the cache-hunting experience. The cache listings were still added by hand, but a database helped to standardize the listings. Additional features, like searching for caches around zip codes, made it easier for new players to find listings for nearby caches. 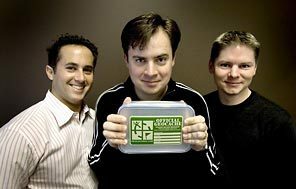 With Mike Teague’s valuable input, the new site was completed and announced to the stash-hunting community on September 2, 2000. At the time the site was launched there were a mere 75 known caches in the world. 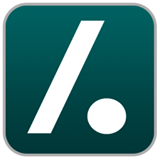 Slashdot, a popular online magazine for techies, reported the new activity on September 25, 2000, introducing a larger group of technology professionals to the activity. The New York Times picked up the story and featured it in its “Circuits” section in October, starting a domino effect of articles written in magazines, newspapers, and other media outlets around the world. CNN even did a segment in December 2000 to profile the new hobby. The growing community chanted the mantra “If you hide it, they will find it” to the newer players. After some reassurances, pioneers of the hobby started placing caches just to see whether people would go find them. They did. Through word of mouth, press articles, and even accidental cache discoveries, more and more people have become involved in geocaching. First started by technology and GPS enthusiasts, the ranks of geocachers now include couples, families, and groups from all walks of life. The excitement of the hunt appeals to both the inner (and outer) child. Today you can do a search on just about anywhere in the world and be able to walk, bike, or drive to a nearby hidden cache. Geocaching is a real-world treasure hunt that’s happening right now; all around you using GPS enabled devices. Participants navigate to a specific set of GPS coordinates and then attempt to find the geocache hidden at that location. There are now 2,590,242 active geocaches and over 6 million geocachers worldwide. See! Everyone, at heart, wants to be a Mountain Man! 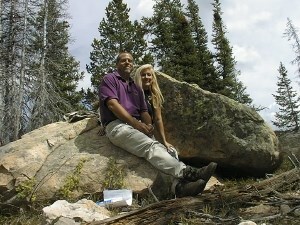 If you are bringing your family up to camp and visit the Rendezvous, consider giving geocaching a go. If you have a boy scout in your family, they can earn a merit badge for participating. This is a FUN, FUN activity for the entire family! Phillip Covington was born in North Carolina on December 1803. He moved to Kentucky, where he became a school teacher. Then, at the age of 23, he left his Kentucky home for the far western edge of Missouri. Fast forward to 1879: Covington wrote a manuscript about his adventures in the mountains for the Greeley Colorado Sun. His lively account is quite informative and provides a lot of “new” information about the Rocky Mountain fur trade, fills in gaps, corrects assumptions and tells us more than we ever knew about the 1828 Sweetwater Rendezvous. Covington relates that William Sublette arrived in Lexington on September 15, 1827 with a train of pack mules, laden with beaver, to meet William Ashley’s party from St. Louis, who had several wagon loads of goods and groceries ready for transport. Sublette advertised for new recruits and Covington, along with several of his bachelor friends, answered the call. In exchange for $250.00, the men agreed to dedicate 12-14 months to pack goods and trap beaver. The men purchased from the company, at what Covington called “very low” prices, two blankets, a capote, two heavy red flannel shirts, and as much extra clothing as each thought proper to lay in. Most also purchased two pounds of tobacco and a pound of salt. On or around October 1, 1827, Jackson and Sublette took charge of the pack train and, with 45 men – Covington included – and 80 mules heavily loaded with good and groceries, they headed to the mountains with goods and supplies valued at $20,000.00. 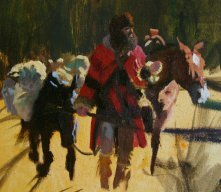 It was a brutally cold winter that year and by the time they reached the mountains the mules were starving and freezing. Every night one or more mule died until every man was on foot. There was no place to cache goods, so the men were forced to carry the merchandise. Just before Christmas, in the Black Hills near where Fort Laramie is now located, they stopped in a cottonwood grove and made camp. On Christmas morning Sublette distributed pure brandy which was well received by the company after such hard traveling. When March arrived and the snow began to disappear, the party found a suitable spot on a bluff along the Platte to cache the supplies. After that, the men started trapping beaver along the many streams that flowed from the foothills. Covington reports that during this time, the principal food of these trappers was beaver meat. This contradicts long-held beliefs of many historians who claim the mountain men seldom ate the meat of the beaver they trapped. During the spring, blowing snow and rain caused considerable damage to one of the caches. Several bales of calico, red and blue cloths, tobacco, sugar, coffee and raisins became wet and damaged. Entire bolts of cloth had to be opened and spread out to dry. 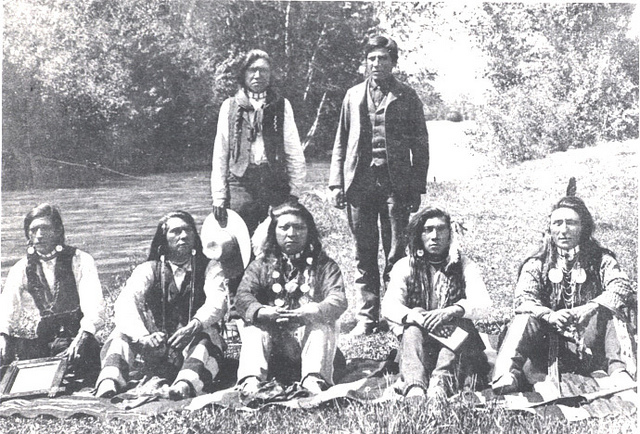 Blackfoot Indians killed Joseph Coté at Birch Creek, which later became known as Cote’s defile. Dale Morgan stated that Cote’s death was “almost the only clue that Jackson and Sublette’s were present in the mountains in the spring of 1828.” The Indian that killed Cote’ slipped in among the mules, cutting several loose. Coté was on guard duty and although he crawled close to the Indian, with gun cocked, the Indian fired first. Cote’ was the only man of Sublette’s company lost that year. Approximately two or three hundred Blackfoot warriors attacked Robert Campbell’s party as it was just a few miles from the rendezvous site. Things might have gone poorly for Campbell’s group if it had not been so close to rendezvous. 60-70 trappers and several hundred friendly Indians quickly arrived from rendezvous to reinforce Campbell’s group. Depending on who is telling the story, the Blackfoot Indians are believed to have retired from the field before the reinforcements arrived. Lewis Bolduc was killed during this skirmish. Corroborated by Campbell as well as Daniel Pott and Jim Beckworth, Covington’s articles relate that a war party left, then returned after a week or so, with several enemy scalps. A scalp dance was held upon the party’s return and Covington provides many details of this celebration in his writing. 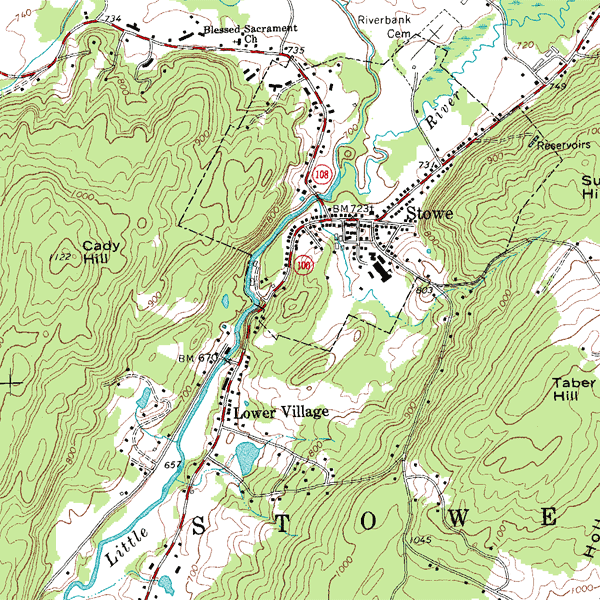 The valley Covington mentions is most likely modern day Meadowville Valley. 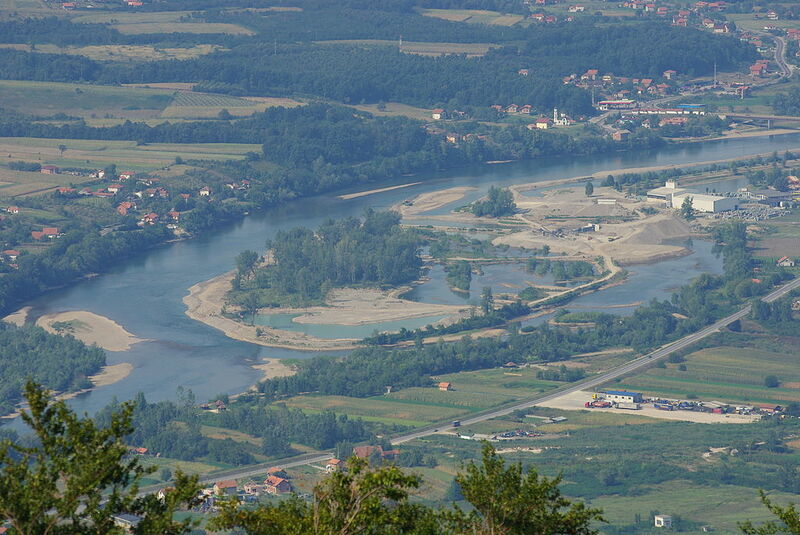 The spring to the east could be Falula Spring and the spring on the west is probably what is now known as Big Spring. Covington stated that a small cabin was built up about eight feet high with poles laid across, then covered by cottonwood limbs with the leaves still on, forming a good shaded covering. They split poles for shelving for the dry goods and two or three poles formed a counter on which more goods were laid. The only other mention of a log building at a rendezvous comes from the 1838 event. Rendezvous this year would last through the early part of July. Covington describes a lively time at rendezvous. “Plenty of fine horses; plenty of fine brandy and whiskey at $2.00 a pint or tin cup full; plenty of goods and groceries of almost every description. Horse racing and shooting was carried on to a considerable degree, while card playing and drinking was not neglected.” Like so many rendezvous yet to come, the men let their hair down and celebrated another successful year in the Rocky Mountains. Many of the most famous of mountaineers were present. 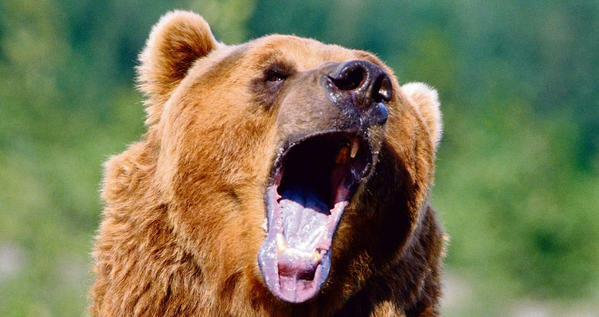 Hugh Glass retold the famous story of his encounter with a grizzly and even pulled off his shirt to show the scars on his back and body as proof. Covington mentions becoming acquainted with Jim Bridger, Ezekiel Abels, Jim Beckwourth and Black Harris. Harris is believed to have gone west with Sublette in 1827. 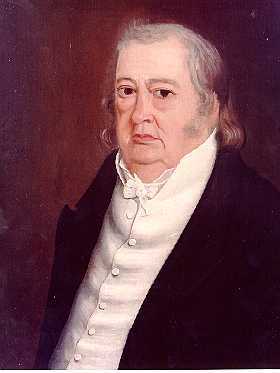 His whereabouts were unknown up until 1829, but it is now apparent that Harris was at Bear Lake in the summer of 1828. Supplied by John Jacob Astor’s American Fur Company and to add a little competition, Joshua Pilcher’s fur company was also present at the 1828 rendezvous. 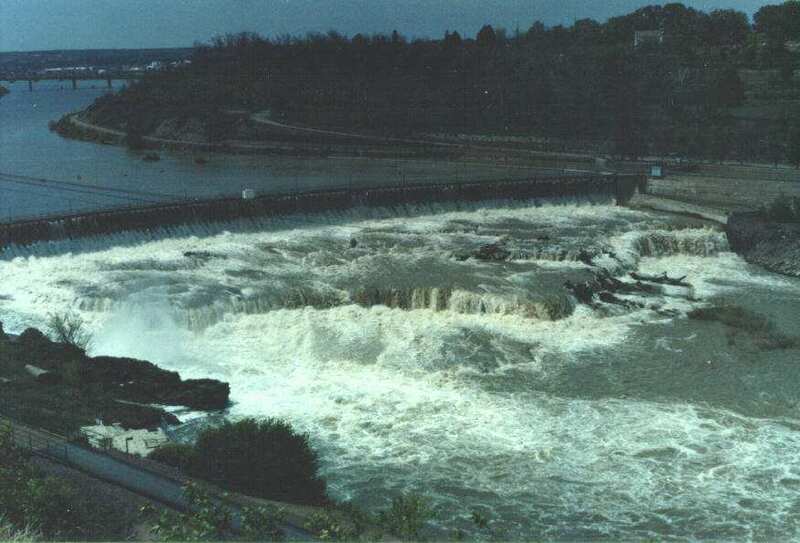 Most of their supplies, which had been cached, were destroyed by water seepage. They were, however, successful in trading for 17 packs of beaver with the meager supplies that they were able to salvage. 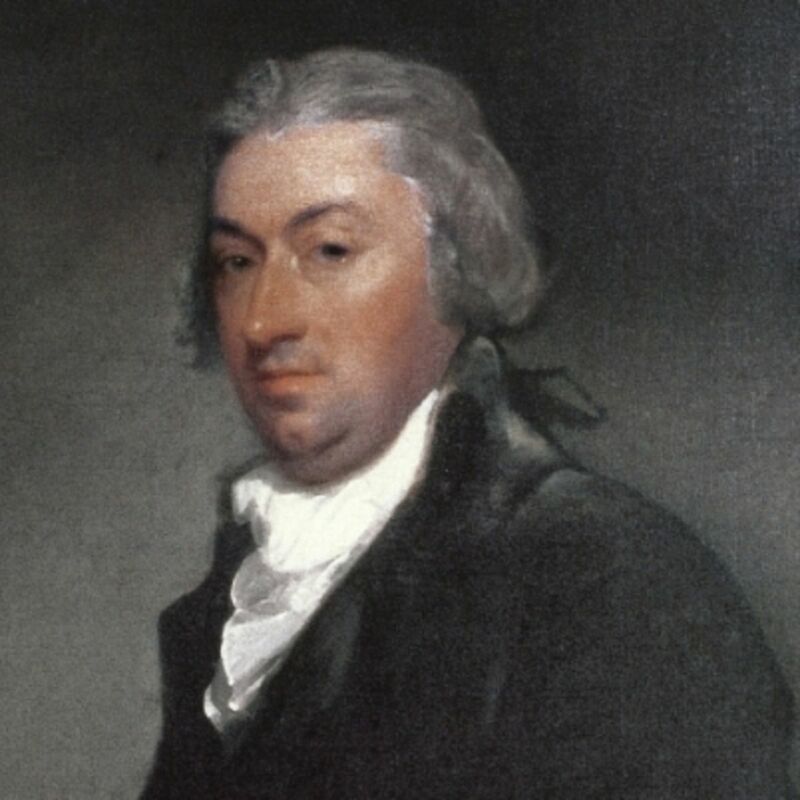 Many historians link Johnson Gardner to Pilcher, claiming Gardner acted as Pilcher’s clerk, but he did not hire on with Pilcher until after the end of the rendezvous. 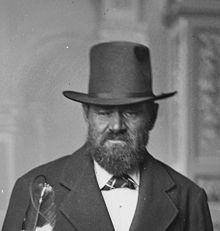 Covington’s dialogue indicated Gardner was a free trapper, who had the best rifle in the company short of Captain Sublette. Gardner must have accompanied the furs east, then hired on with Sublette’s supply train. The partners of Smith, Jackson and Sublette were responsible for the task of returning furs themselves to St. Louis. The company made their departure from rendezvous for St. Louis around the fifteenth of August, with 45 to 50 men and about 80 or 90 mules heavily laden with fur valued at nearly $36,000.00, consisting of 7710 pounds of Beaver pelts, 59 otter skins, 73 muskrat skins and 27 pounds of castoreum. The “big Bushaway” (probably Sublette) lead the way and the “little Bushaway” (most likely Antoine Janis) brought up the rear. Some of Pilcher’s men, also carrying their proceeds from trading at the rendezvous, accompanied Sublette back to St. Louis. Although Sublette and Pilcher were competitors and rivals, it was not unusual for them to travel together, for the greater safety provided by their numbers. Camp fare was pretty rough. There was no bread, but Sublette brought along two or three mules loaded with side bacon and five or six fat steers to butcher. That meat was gone well before the caravan got to buffalo country. 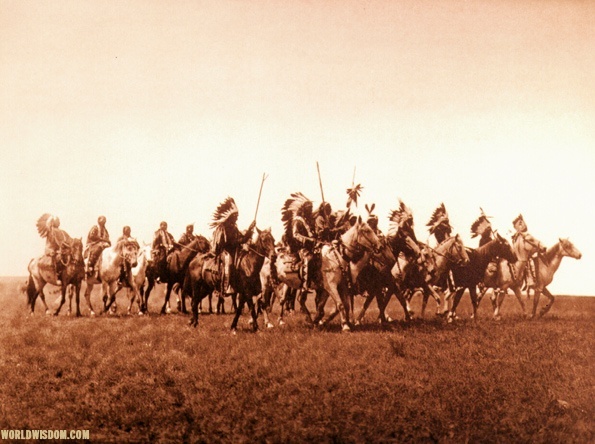 On the Platte River Plains the company was surprised to spot several hundred Indians riding toward them at full speed. The men halted, formed a circle, unpacked the goods and piled them up for breast works. 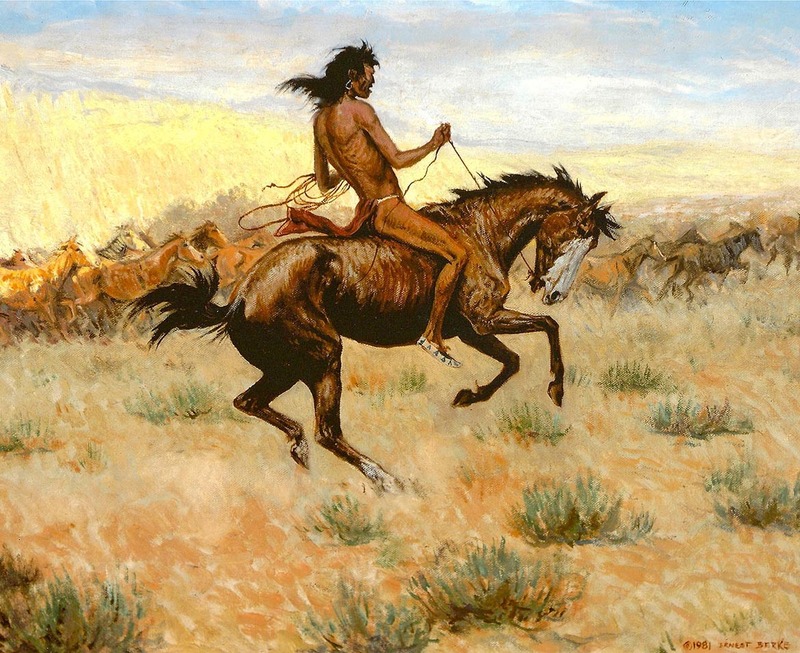 The mules were then picketed within the perimeter and the men hunkered down behind the packs, rifles aimed and ready, but the Indians proved to be Pawnee merely looking for buffalo. A few tobacco plugs earned the company passage. Jackson and Sublette arrived in St Louis on October 13, 1828, netting a surplus of $16,000.00. Upon their arrival, the men of the party all stood in front of Ashley’s fine home and unpacked the mules. General Ashley, his wife, and his sister-in-law hosted the company for a breakfast of coffee, tea, white biscuits, and good butter. 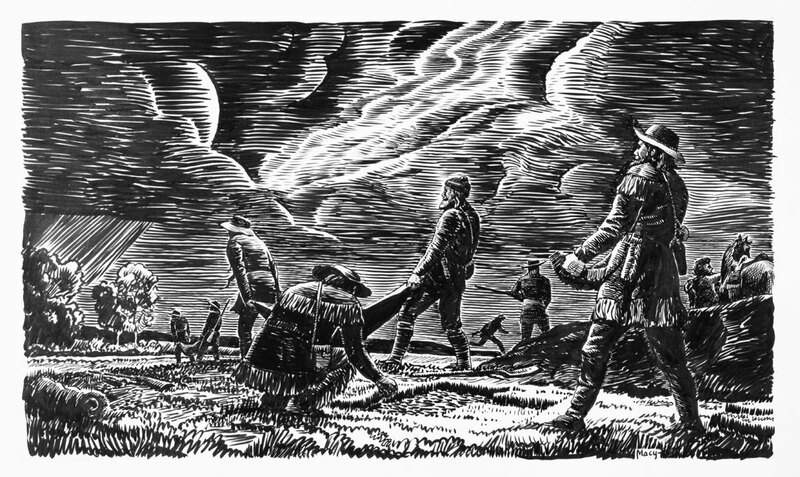 Nearly all of the men were still attired in suits of leather, hunting shirts, and blanket coats – just as they came off the plains. 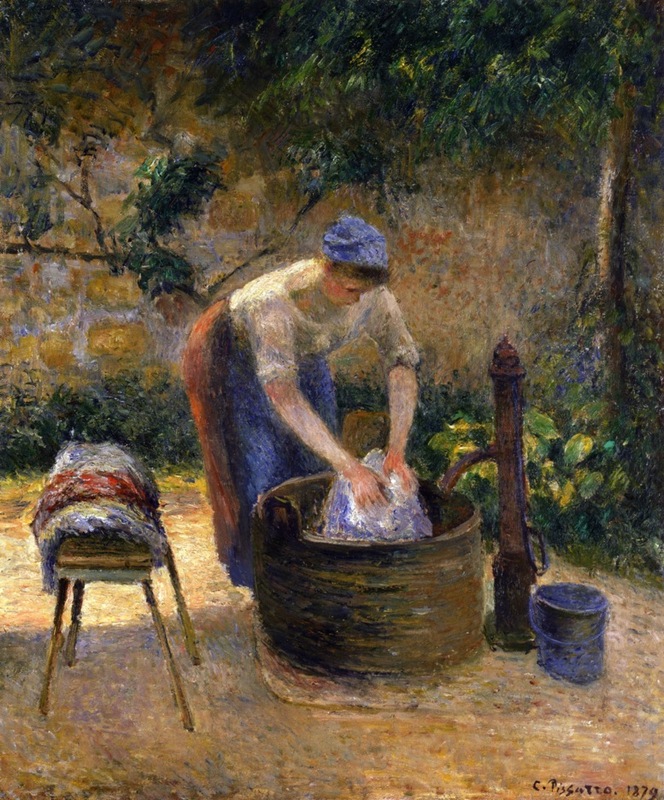 Says Covington, they had not washed with soap for months! With breakfast over, Ashley gave each man $50 to go to town and purchase new clothes. 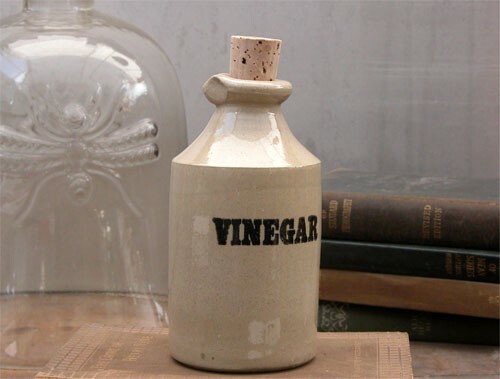 Covington went to the barbershop for a shave and a haircut, got himself a new suit, then went to a hotel and called for a tub of hot water with PLENTY of soap. He returned to Ashley and settled accounts, receiving $210. He was only docked $40 for clothing and expenses for his year in the mountains.